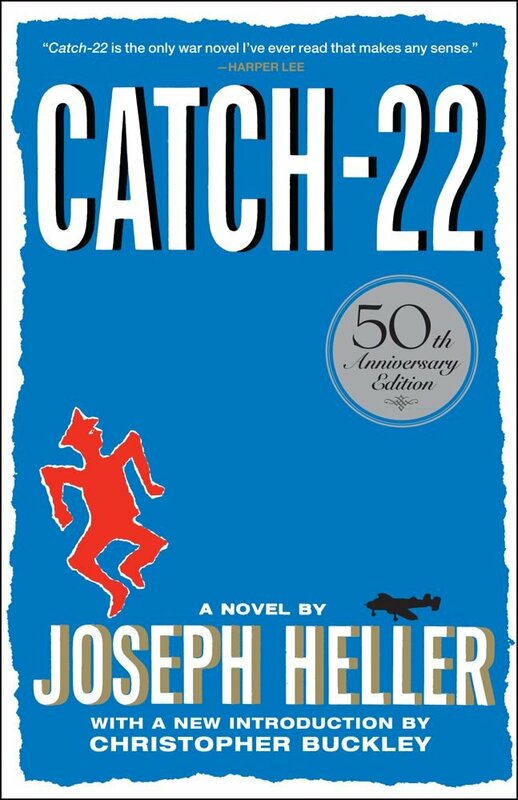 Joseph Heller began working on Catch-22 in 1953 and it was published in 1961. The term “Catch-22” has been around as long as I can remember. I didn’t realize the term was actually coined by Joseph Heller in his book, Catch-22. I have always assumed that the phrase came before the book, and not the other way around. I wasn’t able to find the exact year that Catch-22 was entered into the dictionary, so if you know this, please let me know! The number 22 seems to have no apparent meaning, but Heller and his publisher liked the repetitiveness of the number two. The first chapter was originally published in New World Writing as Catch-18, but in 1961, Mila 18, another book about World War II was published, and so Heller was asked to reconsider the number. After trying a series of other numbers (including 11, 14), 22 was decided on. Can you imagine saying Catch-14 instead of Catch-22? I’m slowly making my way through this book. It’s definitely one of the denser books that I’ve started to read this year. I’ve found myself needing to take notes throughout the book in order to keep track of who’s who and what’s what, so I can’t read the book mindlessly on my commute to work. I’m on page 100 so far, and I’m finding it worth the effort. It’s laugh-out-loud funny at times, and I’m excited to share more with you as I discover it!